Smells good enough to eat! 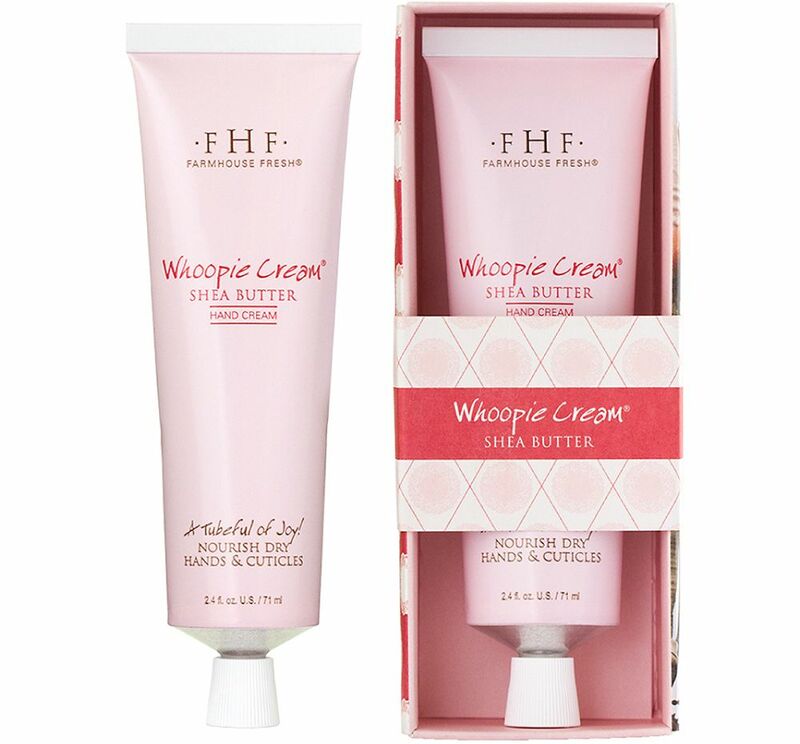 The Whoopie Cream Hand Cream from FarmHouse Fresh will remind you of vanilla buttercream frosting and whoopie pies – how fun is that! Don’t be fooled by its sweet scent though, because it’s filled with essentials that your dry skin will crave: shea butter, vitamin E, and jojoba and soybean oils. This lightweight cream is non greasy and is absorbed quickly, relieving dry winter hands, elbows, and heals. It’s 95% natural, paraben and sulfate free, vegan friendly, and cruelty free. It comes in a handy tube size of 2.4 ounces, so it’s just the right to take on an airplane (remember to put it in a sealed bag through security!) to ensure your hands are well moisturized on those flights. The FarmHouse Fresh Whoopie Cream Hand Cream is as they say, “a tubeful of joy”!